Hearts and Hibs have been involved in games this season where refereeing decisions have come under scrutiny. But what about each side’s disciplinary record? 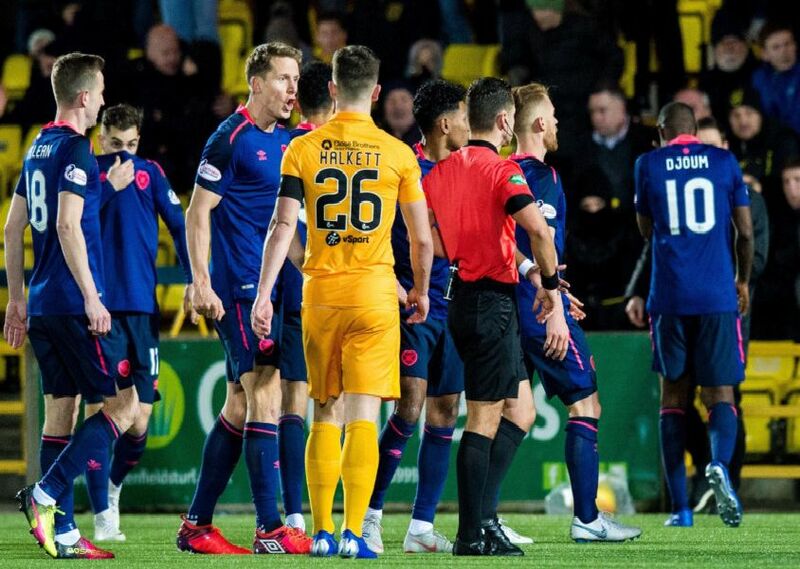 Taking statistics for fouls, yellow cards and red cards from the SPFL website for each team we devised a points system to rank the league’s 12 teams. A foul = 1 point, yellow card = 4 points and red card = 10 points. Click and scroll to find out where the Capital duo sit in the fair play table. Fouls - 329. Yellow cards - 46. Red cards - 3. Fouls - 286. Yellow cards - 47. Red cards - 4. Fouls - 299. Yellow cards - 41. Red cards - 3. Fouls - 295. Yellow cards - 38. Red cards - 2.